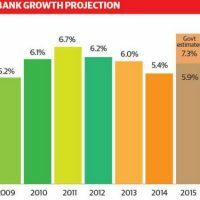 Bangladesh Budget for 2018-19 fiscal year is Tk 4,64,573cr with 7.8% growth target. 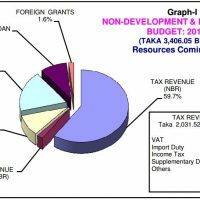 The Budget of Bangladesh is 16.07 % higher than the original budget size of Tk 4,00,266 crore for the year 2017-18. Minance Minister Proposed 25% custom duy for the budget of 2018-19. The finance minister M A Muhit also said to protect farmers and agro-based industry, duty on locally produced products are starches, maize, potato, wheat, and cassava, have been rationalised to 15% for customs duty and 10 % for regulatory duty. 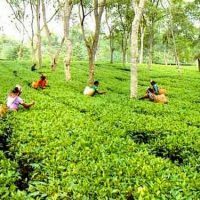 In Bangladesh Budget 2018-18, M A Muhit proposed an allocation of TK 58,928 crores for agriculture & rural development sector of Bangladesh. Finance Minister AMA Muhit proposed to increase corporate tax to 15%. IT was 12% in Budget 2017-18. Stock Exchange listed garments proposed tax is 12.5% but Green Garments factories will pay at 12%. M A Muhit proposed 100% duty exemption for export related textile raw materials also. Finance Minister proposed to decrease corporate tax for stock exchange listed banks, non-bank, insurance by 2.5% but non-listed rates unchnaged. Bangladesh Finance Minister encourage Citizens of Bangladesh to use jute bags and other green products by imposing 5% supplementary duty for 2018-2019 year budget. The price of food like milk, mineral water and others those use Polythene for packaging will be increase due to this extra duty. Finance Minister has said Resorts, hotels & businesses must use electronic fiscal devices (EFD) from the next fiscal year to calculated vat that help authority to collect revenue from these sectors. Finance Minister said use of EFD instead of Electronic Cash Register (ECR) & Point of Sale (POS) shall be made mandatory in all restaurants, hotels, resorts and shops all over the country. The EFDs, devices will be connected online with theNational Board of Revenue, (NBR). The NBR made the ecash mandatory in 2008 for eleven types of businesses. Tax on Google, Facebook, Youtube. Bangladesh Government proposed 5% VAT on online shopping including Google, Facebook, Youtube, pathao, Uber and other ecommerce businesses. Any kind of transcation for online sale will under this tax, even domain, hosting, linceses and others. Website base Ecommerce and facebook base ecommerce will be reduced significantly, and Many enterpreniurs will not show interest in this sector. , sugar confectionary, imported mobile and other battery charger, Coffee, Green Tea, voltage stabiliser (capacity up to 2,000 VA), , UPS/IPS (capacity up to 2,000 VA), automatic circuit breakers, lamp-holders, used/old vehicle and bicycle. Energy drinks, cosmetics and beauty product items like lipstick, E-commerce, online shopping, nail polish, body sprays and similar items, body lotion, toiletries, perfumes (except attar), cigarette and bidi, bathtubs, zacuji and shower trays, polythene and plastic bags, small size flat, furniture, garment products. software, hybrid motor car, raw material of motorcycle, Raw material of active pharmaceutical ingredient, refrigerator, air-conditioner and compressor, locally assembled cellular phone, tyre and tube, ball point pen, medium sized flat, loaf, bread, buns, handmade biscuits and handmade cakes up to Tk 100 per kg, filled milk powder, school bus, Erythropoietin, medical treatment required for cancer and kidney diseases, sandals and slippers.